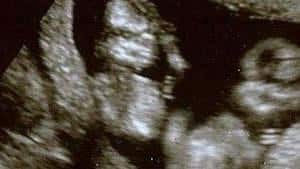 At a twin ultrasound 12 weeks scan you'll often learn your twins chorionicity as well as your exact due date. 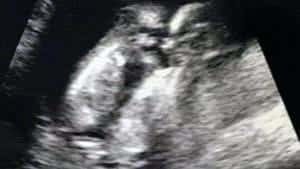 This dating and chorionicity scan most often occurs when you're between 11 weeks and 13+6 weeks pregnant. 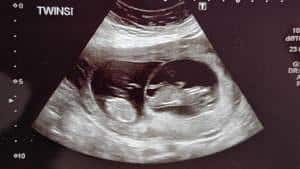 At a twin ultrasound 12 weeks scan you’ll often get to know your exact due date and your twins chorionicity. This is called a dating and chorionicity scan. It most often occurs when you’re between 11 weeks and 13+6 weeks pregnant. Also, in many countries, they check for Down syndrome at the dating scan. Down syndrome – also known as trisomy 21 – is one of the most common chromosome abnormalities. 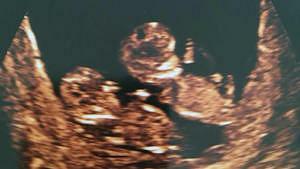 The sonographer will check the size of your babies and confirm or move your due date depending on the result. 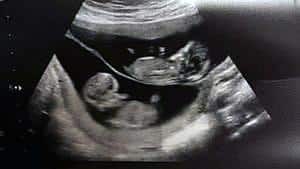 If there’s a size discrepancy between the twins most experts agree that the sonographer can date the pregnancy using the size of the larger baby. This is in order to avoid that early growth restriction in one twin isn’t detected. 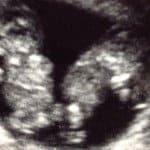 Why is it important to get a chorionicity scan? 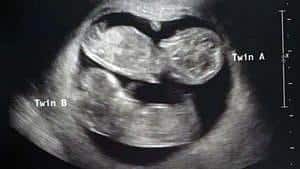 When twins are confirmed, the sonographer should do a chorionicity scan to find out whether or not your twins share a placenta. 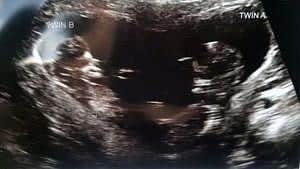 If the sonographer is not able to determine chorionicity, you should get a referral to a Maternal Fetal Medicine (MFM) specialist. Twins who share a placenta are more at risk for complications during pregnancy and delivery. They are at risk of conditions like Twin to Twin Transfusion Syndrome, Twin Anemia Polycythemia Sequence (TAPS) and Selective Intrauterine Growth Restriction (SIUGR). It’s important that these conditions are caught early on in able to give you the best treatment possible. Twins who share a placenta are called monochorionic twins. 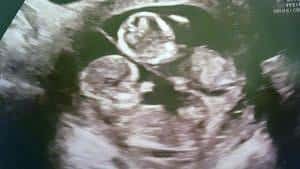 If you are carrying monochorionic twins you need to be monitored frequently. 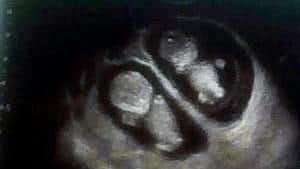 Monochorionic twins are always identical. Twins who have separate placentas are called dichorionic twins. All fraternal twins are dichorionic. About 1/3 of identical twins are dichorionic twins. 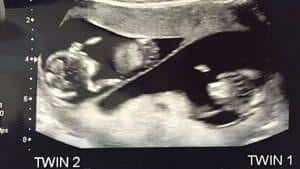 If you are expecting monochorionic twins, it’s not enough to know about chorionicity. You also need to know about amnionicity. Why is it important to know about amnionicity? Amnionicity relates to whether or not your twins share the inner membrane. 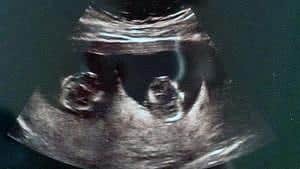 Monochorionic twins share a placenta but can be either monochorionic-diamniotic (mo-di twins) or monochorionic-monoamniotic (mo-mo) twins. Mo-di twins only share the outer membrane, whereas mo-mo twins share the outer AND inner membrane. Mo-mo twins are extremely rare. Only about one percent of identical twins are mo-mo-twins. They require aggressive and regular monitoring due to the risk of cord entanglement and cord compression during pregnancy and delivery.